It’s hard to believe that summer is already here, and I can’t be the only one to notice that everyone’s Facebook accounts are full of vacation pictures and all around summer fun. If you feel left out or like you can’t afford a vacation this summer, think again. There are so many ways that you can cut costs so that you can have a nice relaxing time too without breaking the bank. I know it sounds counter-intuitive, since a vacation is supposed to take you away from the chaos of daily life. However, think about all the cool sites and attractions right there in your own town. I’m sure your city has some museum exhibits, an old cemetery to explore, or a new restaurant or two. Take some time to soak in what’s right there in front of you without jet lag or hours in the car. My husband and I did this once when we lived in Richmond, Virginia, and we had so much fun. It really forced us to get out and soak in some new sights. If you have a friend or two that you love hanging out with, go on a vacation with them! If you can rent a big beach house and split the cost with another couple, then it’s much less expensive for you. You can also travel in the same car with two friends and split the gas. Either way, the more people you bring, the more you save. Whenever we travel with my husband’s family, we always rent a house with a kitchen because they love to cook. So, instead of paying for 10 people to eat dinner at a restaurant every night, we make a big pot of spaghetti or soup. Remember, it’s who you’re with on vacation that’s most important, not how much money you spend. When people go on vacation, they always shop, shop, shop! Remember, you don’t have to bring back a ton of souvenirs. Just one simple item to remember the trip by is all you need. Even better, just take an awesome picture and buy a picture frame to put it in. It’s easy to underestimate how much we will spend on shopping while on vacation, but if you cut out that large expense, you can save hundreds off of your vacation budget. I have a friend in Grenada who trades houses with people so that she can go on vacation. They come and enjoy the island, and she can go wherever she wants. It’s a great compromise. The last people who stayed in her house even took care of her dog! So, if you can cut out the housing costs of your vacation, that’s probably the biggest expense. Then, by cooking meals inside and limiting your shopping, you can have a very affordable and memorable summer vacation. 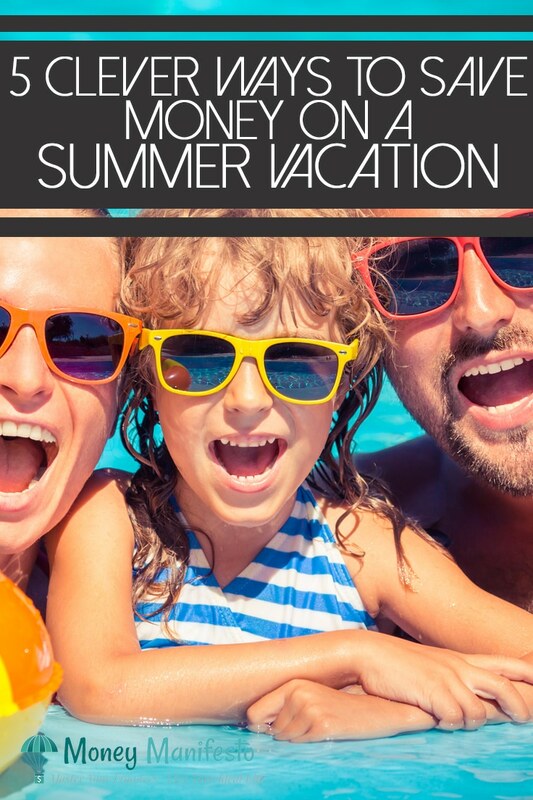 What are some other ways that you can save on summer vacation? **Lance’s Two Cents** A staycation is a great idea and even better for us personally since we live in a local tourist destination. We’ll have to add it to the list of “vacation ideas” for an extended weekend! « Are You Better Off Than You Were In The Past? Don’t eat out the whole time! I’ve become a giant staycation fan recently. Every time I have one, I discover so much more about the city I live in and the amazing things there are to do there. It’s just astonishing how much stuff you can miss when you’re working! I just had a week’s vacation last month, and my family went on a “stay-cation”. We went on several day trips and had a really good time. We went to a huge local dairy farm, a zoo, a state park, a drive-in movie, and lots of bike rides. It was all a lot of fun, for both me and my wife and our two-year-old son, and it was a lot less expensive than going on a long-distance trip. The cheapest trips I’ve taken have been combining a rental house with friends. When you’re splitting the cost of the house 10+ ways it’s much more affordable. The only thing that’s a little tricky is how to split the food costs. We found that having everyone bring their own stuff and sharing when they wanted to worked well, and one or two of us cooked a huge dinner one night. My wife and I have occasionally checked out local sights and attractions in Los Angeles. We visited Gamble House in Pasadena and Frank Lloyd Wright House in Los Angeles. It was an amazing experience. Just visiting the beach and get lunch at the local grocery can be fun. We are taking a mini vacation (long weekend) at the beach at a luxury resort. I a using vouchers for the hotel costs which includes breakfast. These are all great ideas! My friends and I are going on a couples’ vacation in August. We are renting a huge hotel room with multiple bedrooms. It is saving us tons of money. I love going on vacation! But most recently I spent around $1000 just for a weekend road trip. Mainly because I went shopping – woops! $250 later, and lots of wine and food.. at least it was a good trip. That sounds perfect! I love DC! We will be doing a house swap with my parents hopefully next summer. It’s popular in the UK and my cousins in Australia want to do the same thing. I think it’s a great way for us to go home to the UK and tour around as well if we want to go to Australia.